Fits 03 - 08 INFINITI / NISSAN 350Z. 03 - 08INFINITI FX35 3.5L 3498CC V6 DOHC. 06 - 08INFINITI M35 3.5L 3498CC V6 DOHC. 03 - 07NISSAN 350Z 3.5L 3498CC V6 DOHC. 03 - 07INFINITI G35 3.5L 3498CC V6 DOHC. 2007-2009 NISSAN 350Z. NEW OEM NISSAN LEFT SIDE VALVE COVER ASSEMBLY. FITS THE FOLLOWING NISSAN MODELS WE ARE AN AUTHORIZED NISSAN DEALER LOCATED IN ILLINOIS. COVER IS PRE-INSTALLED WITH NEW SPARK PLUG SEALS. 2007-2009 NISSAN 350Z. NEW OEM NISSAN RIGHT SIDE VALVE COVER ASSEMBLY. FITS THE FOLLOWING NISSAN MODELS COVER IS PRE-INSTALLED WITH NEW SPARK PLUG SEALS AND PCV VALVE. WE ARE AN AUTHORIZED NISSAN DEALER LOCATED IN ILLINOIS. 2003-2007 INFINITY G35. 2003-2007 NISSAN 350Z. NEW OEM NISSAN RIGHT SIDE VALVE COVER ASSEMBLY. FITS THE FOLLOWING NISSAN MODELS WE ARE AN AUTHORIZED NISSAN DEALER LOCATED IN ILLINOIS. COVER IS PRE-INSTALLED WITH NEW SPARK PLUG SEALS. 2003-2007 INFINITY G35. 2003-2007 NISSAN 350Z. NEW OEM NISSAN LEFT (DRIVERS) SIDE VALVE COVER ASSEMBLY. FITS THE FOLLOWING NISSAN MODELS WE ARE AN AUTHORIZED NISSAN DEALER LOCATED IN ILLINOIS. COVER IS PRE-INSTALLED WITH NEW SPARK PLUG SEALS. INFINITI FX35 2003-2008. INFINITI G35 2003-2007. NISSAN 350Z 2003-2006. INFINITI M35 2006-2008. Engine Valve Cover With Gasket. "OES Genuine Valve Cover --. OES GENUINE VALVE COVER. Condition : New. General Warranty Limitations (Applies to all Product Warranties). The warranty is subject to the General Warranty Limitations below. Fits 07 - 09 NISSAN 350Z. 07 - 09 NISSAN 350Z 3.5L DOHC V6. 2 VALVE COVER GASKET. 1 ENGINE VALVE COVER (DRIVER). 1 ENGINE VALVE COVER (PASSENGER). Fits Left & Right Side / Driver & Passenger / LH & RH. 350Z 07 (3.5L, VIN B, 4th digit, VQ35HR) INFINITI EX35 08-10 (VIN A, 4th digit, VQ35HR, V6), RWD INFINITI G35 07 (3.5L), VIN B, 4th digit, VQ35HR, 4 Dr Sdn, RWD. 03 - 08 INFINITI FX35 3.5L 3498CC V6 DOHC. 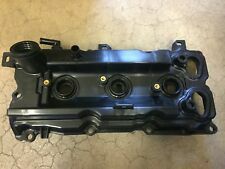 06 - 08 INFINITI M35 3.5L 3498CC V6 DOHC. Fits 03 - 08 INFINITI / NISSAN 350Z. 03 - 07 INFINITI G35 3.5L 3498CC V6 DOHC. 03 - 07 NISSAN 350Z 3.5L 3498CC V6 DOHC. PART NUMBER: CNVG-D1400 ---FITS 07 - 09 NISSAN 350Z ---3.5L(3498CC) DOHC V6 ---BRAND NEW ENGINE VALVE COVER SET W/ GASKET APPLICATIONS ---07 - 09 NISSAN 350Z 3.5L DOHC V6 PACKAGE INCLUDES ---1 ENGINE VALVE COVER (DRIVER) ---1 ENGINE VALVE COVER (PASSENGER) ---2 VALVE COVER GASKET SPECIAL FEATURES ---FITS LEFT & RIGHT SIDE / DRIVER & PASSENGER / LH & RH ---COMES WITH SPARK PLUG SEALS. 2003 Infiniti FX35. Valve Cover TypeShort. UPC 019495299356. Length (In)14.75 In. Weight: 3 Lbs. Manufacturer Number: 264-971. California Proposition 65WARNING: Cancer and Reproductive Harm ?. Width (in)8 In. "Felpro Valve Cover Gasket --. See product for application and installation details.". Quantity sold : Set. Condition : New. Constructed with the finest quality materials for superior durability. Backed by industry leader renowned for their top-of-the-line sealing solutions. 2003-08 Infiniti FX35 Ignition Coil Kit. 2006-08 Infiniti M35 Ignition Coil Kit. 2003-07 Infiniti G35 Coupe Ignition Coil Kit. 2003-06 Infiniti G35 4 Door Sedan Ignition Coil Kit. 2003-06 Nissan 350Z Ignition Coil Kit. INFINITI FX35 2003-2008. INFINITI G35 2003-2007. NISSAN 350Z 2003-2006. INFINITI M35 2006-2008. Engine Valve Cover With Gasket. Right (Passenger Side) 13264AM600 13264-AM600 0360008 036-0008. 03 - 08 INFINITI FX35 3.5L 3498CC V6 DOHC. 06 - 08 INFINITI M35 3.5L 3498CC V6 DOHC. Fits 03 - 08 INFINITI / NISSAN 350Z. 03 - 07 INFINITI G35 3.5L 3498CC V6 DOHC. 03 - 07 NISSAN 350Z 3.5L 3498CC V6 DOHC\. 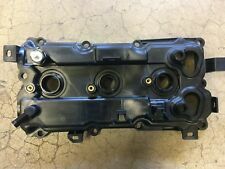 PART NUMBER: CNVG-D1401 Fits 07 - 09 NISSAN 350Z 3.5L(3498cc) DOHC V6 BRAND NEW ENGINE VALVE COVER W/ GASKET RIGHT SIDE Application 07 - 09 NISSAN 350Z 3.5L DOHC V6 Package includes ---1 ENGINE VALVE COVER (PASSENGER) ---1 VALVE COVER GASKET. OEM:13264-AM600 Application: (2008-03) INF FX35 (3498) * (2006-03) INF G35 (3498) * (2007) INF G35 (VQ35DE) * (2008-06) INF M35 (3498) * (2006-03) NIS 350Z (3498) Package included:1 Piece as picture shows; This is a After Market Item;Shipping with free tracking number;Order handled in 24 hours in Business day;With 12 Months Warranty.Please Note Before Buying This Item It Does Not Fit All Versions Of The Model Advertised In The eBay Compatibility List as eBay Work Via Engine Size(s) Not Via Spec Of Car, Please E-mail / Message Us Your Full Reg Number or Chassis Number Prior To Ordering To Be Sure It Is Correct. Fits 07 - 09 NISSAN 350Z. 07 - 09NISSAN 350Z 3.5L DOHC V6. 2 VALVE COVER GASKET. 1 ENGINE VALVE COVER (DRIVER). 1 ENGINE VALVE COVER (PASSENGER). Portions of the part information on this page have been provided by WHI Solutions, Inc. Warranty Type: Manufacturer Warranty. WARRANTYWarranty Duration: Other. If this is a used item. It will show light wear from use. Expect normal wear appropriate with the donor vehicle's age. $Application 03 - 08 INFINITI FX35 3.5L 3498CC V6 DOHC 03 - 07 INFINITI G35 3.5L 3498CC V6 DOHC 06 - 08 INFINITI M35 3.5L 3498CC V6 DOHC 03 - 07 NISSAN 350Z 3.5L 3498CC V6 DOHC Component 2 ENGINE VALVE COVERS (DRIVER & PASSENGER SIDE) 2 VALVE COVER GASKETS (DRIVER & PASSENGER SIDE) Note Fits Left Side or Driver Side of LH & Right Side or Passenger Side or RH. Code G (CHARCOAL LEATHER). LEFT SIDE IS THE DRIVERS SIDE AND THE RIGHT SIDE IS THE PASSENGER SIDE . See photos for condition. What you see in the photos is what you will be receiving unless otherwise specified. We are parting out a 2007 Nissan 350Z convertible manual. 2008 Infiniti G35. You will receive the part pictured. Donor Vehicle. PART NUMBER: CNVG-D1293G VCBT(20) ---Fits 03 - 08 INFINITI / NISSAN 350Z ---3.5L (3498cc) DOHC V6 ---BRAND NEW ENGINE VALVE COVER W/ GASKETS, BOLTS & IGNITION COILS APPLICATIONS ---03 - 08 INFINITI FX35 3.5L 3498CC V6 DOHC ---03 - 07 INFINITI G35 3.5L 3498CC V6 DOHC ---06 - 08 INFINITI M35 3.5L 3498CC V6 DOHC ---03 - 07 NISSAN 350Z 3.5L 3498CC V6 DOHC PACKAGE INCLUDES ---2 ENGINE VALVE COVERS (DRIVER & PASSENGER SIDE) ---2 VALVE COVER GASKETS (DRIVER & PASSENGER SIDE) ---6 IGNITION COIL ---20 VALVE COVER BOLTS SPECIAL FEATURES ---Fits Left Side or Driver Side of LH & Right Side or Passenger Side or RH. New OEM Nissan part. Please include your VIN number. Infiniti FX35 2003-2008(VQ35DE Engine). Nissan 350Z 2003-2007 (VQ35DE Engine). VQ35DE 3.5L V6 Engine. Infiniti M35 2006-2009(VQ35DE Engine). Infiniti G35 2003-2007(VQ35DE Engine). 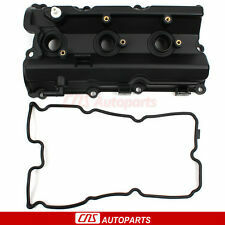 OEM Genuine Engine Valve Cover with Gasket. 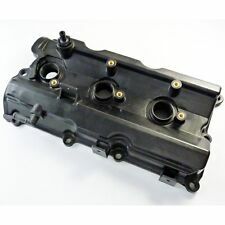 YOU SEND YOUR VALVE COVER TO US TO BE REMANUFACTURED. Feel free to send us any photos that will help us give you a custom order quote. ABOUT OUR VALVE COVERS. Once we receive your valve cover we will: Sand blast, Acid wash, Carefully prep and paint.